New. 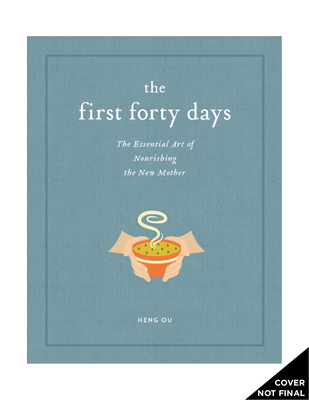 A gentle, nurturing guide for new mothers, filled with encouraging and essential advice for the early postpartum weeks Num Pages: 224 pages, 50 colour photographs. BIC Classification: VFXB. Category: (G) General (US: Trade). Dimension: 187 x 249 x 23. Weight in Grams: 648. 2016. Hardcover.....We ship daily from our Bookshop. Fine. Sewn binding. Paper over boards. 224 p. Contains: Illustrations. In Stock. 100% Money Back Guarantee. Brand New, Perfect Condition, allow 4-14 business days for standard shipping. To Alaska, Hawaii, U.S. protectorate, P.O. box, and APO/FPO addresses allow 4-28 business days for Standard shipping. No expedited shipping. All orders placed with expedited shipping will be cancelled. Over 3, 000, 000 happy customers. New. Sewn binding. Paper over boards. 224 p. Contains: Illustrations. In Stock. 100% Money Back Guarantee. Brand New, Perfect Condition, allow 4-14 business days for standard shipping. To Alaska, Hawaii, U.S. protectorate, P.O. box, and APO/FPO addresses allow 4-28 business days for Standard shipping. No expedited shipping. All orders placed with expedited shipping will be cancelled. Over 3, 000, 000 happy customers.